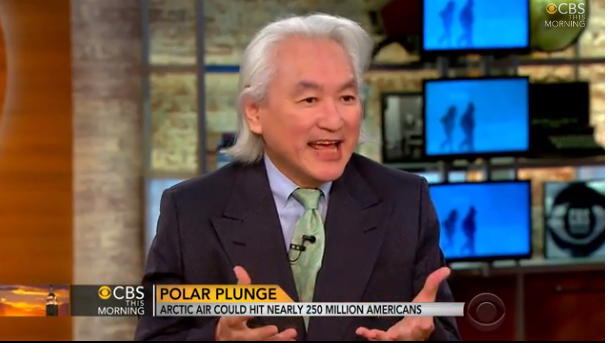 Michio further describes this phenomenon with the “geek term” Bombogenesis. Bombogenesis is when hot air and cold air collide creating temperatures “30 degrees below normal,” which Kaku is predicting to happen. He says the worst case scenario could would mean a deep freeze, which would cause airlines canceling flights, trains will be disrupted, transpiration overall will be disrupted. This massive disruption will be peaking between Nov. 13 – 15. Let’s monitor this weeks weather and prepare for the worst, but expect the best.